At the end of 2014 The Guardian wrote, “2015: The Year Businesses Recognize that Climate Change is Real”, this is because of the new trends in ranking businesses according to their climate readiness and making sure that they have “sustainability goals” going into the future. These are all new points that the market was looking at throughout the year. So, what is your business doing to keep up with the times not only from a marketing standpoint, but a customer’s perspective? There has been an increasing trend of becoming more eco-friendly in our culture, which is putting the ball in the customer’s court. If people are deciding to make conscious choices to make a smaller carbon footprint in the environment that means they expect the same from the companies that they do business with. Here at NSK Inc. we have been environmentally conscious since 2010 where we were recognized for our sustainability efforts in collaboration with Earthworm Inc. Earthworm Inc. seeks to conserve natural resources by promoting the recycling of office materials in small to large companies. They create great recycling programs for companies and are a strong public sustainability resource. We have continued to promote our sustainability mission by making a movement to go paperless. Reducing our carbon footprint is important to us which is why we would like to be an example to other companies and all the companies we work with by recycling paper, glass and aluminum, using less paper and reusing, recycling and refurbishing all of our old and new technology. 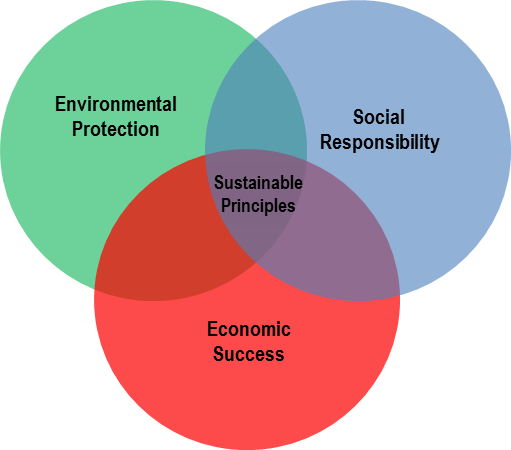 There are many different ways that your company can get involved in the sustainability movement and here are some tips and links to get you headed in the right direction. Get the whole office involved! Get your customers Involved in the plan! Take the time to learn a little about sustainable energy and what is happening with this worldwide movement. Recycling and composting are great actions that help conserve the environment over time and is something that can be done every day! Challenge your office to track their habits with apps that show them their environmental impact and have there be a reward or incentive for them to do it. There are also apps that help with planning carpool, bike and public transportation routes. Each technology company will have their own recycling initiatives that you can be a part of or you can hire a company to do all of that for you. There are a few different options and you have to find the option best for your company. Use the Energy Star standards when looking to purchase new computers and other technology for you company. Use the tips that they provide to make little changes to your work environment bringing down your costs and helping the environment. Use your website and social media platforms to spread the word to your customers so they know that you’re involved and how they can become involved. You could use an eco-tip of the week to kick off your efforts. Taking one step at a time is very important to start off a successful sustainability initiative and that starts with having a company office meeting discussing the plans to your employees. Being open to discussion allows everyone to be involved and invested in taking this important move towards become a more eco-friendly company. Here are some good examples from Forbes of the largest companies with the best sustainably plans.